A nationwide survey shows the cost of being so plugged in. The American Psychological Association just released Part 2 of its annual Stress in America survey focused on how technology contributes to stress. Part 1, released last week, painted a grim picture of our collective stress, continuing an upward trend where we get more and more stressed with each year. Now, for the first time, the APA has done a deep-dive into the role that technology has played in that rise. The findings back up what we’ve known for a while: We’re way too plugged in, way too often. The people who reported the highest stress levels were employed Americans who constantly checked their phones even on their days off. Their average stress rated a 6 out of 10. Eighty-six percent of Americans check email, texts and social media “constantly” or “often.” On average, constant checkers rated their stress levels at a 5.3 on a 10-point scale, while less frequent checkers rated their levels at a 4.4. The relatively small difference between the user’s stress suggests that even occasionally engaging with tech has consequences. One major difference between the constant checkers and those who checked less often? How worried they were about the negative effect social media has on their mental and physical well-being. Constant checkers were significantly more worried with 42 percent of them reporting it as a concern. Compare this to the 27 percent of less frequent checkers who reported it as a concern, and you can see the impact. Another important takeaway from the survey is how technology has affected families. Almost half of the parents surveyed said managing their kids’ tech use is a “constant battle,” and 94 percent of parents said they’d tried at least one method to curb their kids’ screen time, like banning phones from the dinner table or implementing screen-free time before bed. There’s also a serious disconnect between our knowledge of how technology affects us and our willingness to do something about it. Sixty-five percent of respondents somewhat or strongly agree that unplugging is important for their health, but only 28 percent of those people put that into practice and unplug regularly. 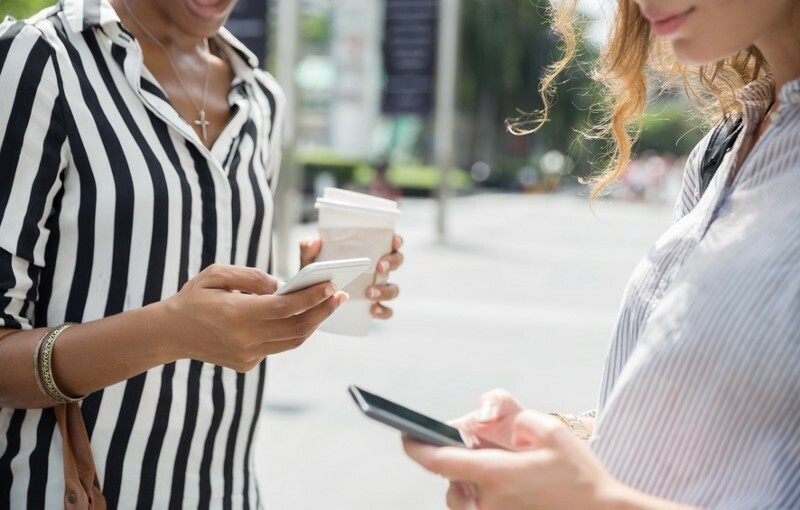 Disconnecting from tech takes effort, but the APA’s findings help prove that not only is it non-negotiable, it’s key to your health. Looking to get started? It’s helpful to think of this as an ongoing process rather than a cold-turkey split from your inbox and social accounts. You don’t have to be perfect every day — it’s your long-term tech habits that matter. Here are some incremental, easily digestible, and stress-free tips — whether you’re a recovering constant checker, an occasional user or an employed over-the-weekend e-mail sender — on how to begin.